To see our efforts to re power, use the drop down tabs under "Mechanical Stuff". 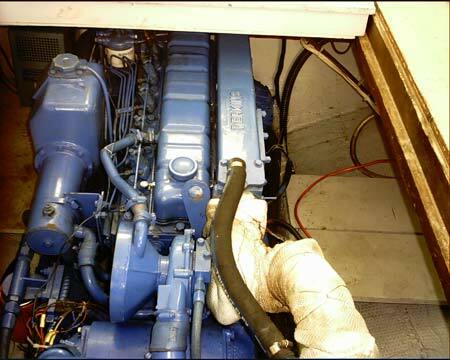 There have been many people that have re powered older Mainships. If your thinking of taking this project on heres a couple of thoughts. Everyone will put their 2 cents in (and some a whole lot more) on what you should do but at the end of the day everyones situation is unique to them. No matter which way you go, it will be worth it. Understand the differences in each brand of engine. 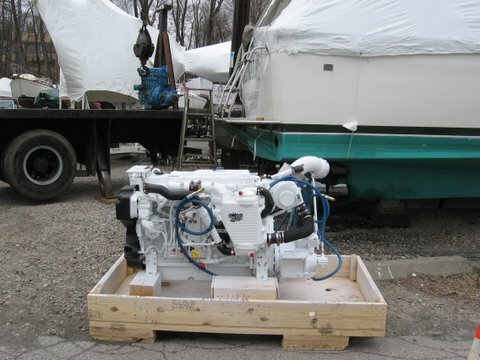 For those contemplating re-powering, here are some notes donated to the "Mainship Yahoo Files" by Jay Leonard when he re powered his Mainship Type I with a Cummins.